Thank you to everyone who came and supported our Book Signing in Yakima! I have now created 4 Sticker Packs for iMessage: Ready Reply & Lite, Ready Reply Spanish, Ready Reply Business. My useful and helpful book, the only book of its kind, the non-fiction book and easy-to-use manual, "How to Get Fat without Even Trying," has been a big seller in the United Kingdom! Something is going on in that church. Expensive cars in the parking lot, known addicts running from the building, and everyone who comes out is unusually happy. Officer Ted Shotgun is going to find out exactly what is happening in the church in this bad neighborhood so he can shut down that operation. "Hope Continually", my 10th novel, is now available to order. Layla, receives a message from her friend regarding her mother, so she & her dad begin an immediate search. She and her father fight against the odds - and the odd people - to reunite their family. Order now! Layla and her father come across an underground military shelter, the discovery of another civilization after the Great Devastation, people who do not know there are others living across the country and across the ocean. Follow them as they make more discoveries about the changing world around them. "The Hidden City," Book 2 in the Great Devastation trilogy, is available to order. 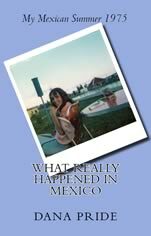 From the summer of 1975, true journal blog: What Really Happened in Mexico. I published one journal entry per day, starting January 1, 2012. The names have been replaced to protect the innocent - and the guilty! Softcover version now available. Have you ever been obsessed by someone famous? Did you write a book of poetry for that person? 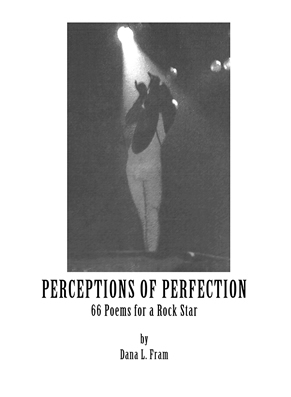 Poetry book written 1977-1984, dedicated to the late Freddie Mercury. Good news! All of my novels are now available as Kindle ebooks! NOW - ebooks on this website!